Know what I haven’t made in forever? 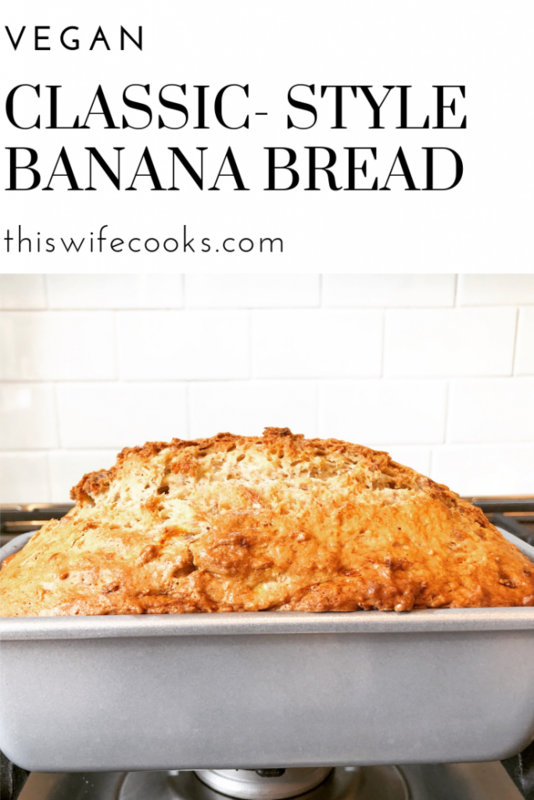 Banana bread! 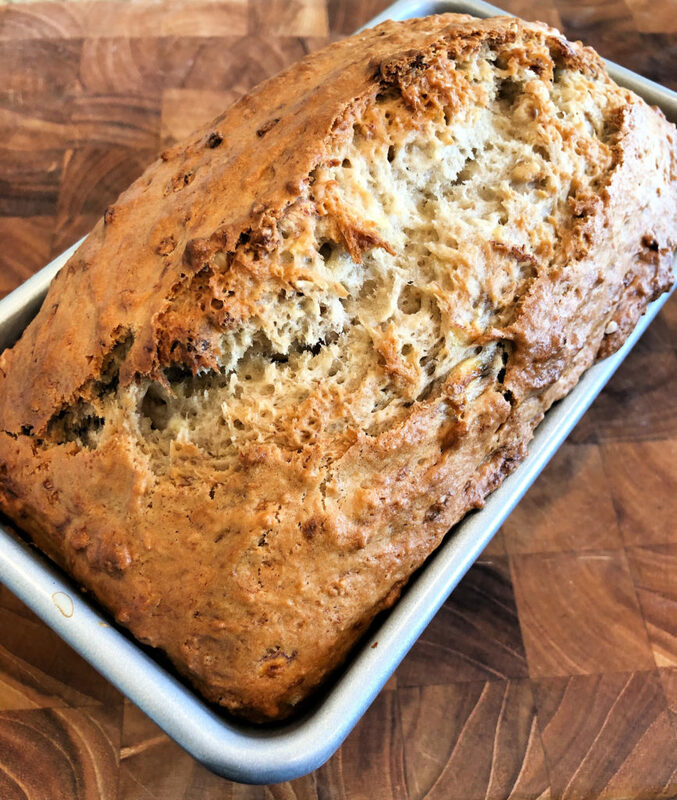 You know how everyone always says to use super ripe bananas? That is what is traditionally used, however, it turns out that this is not the rule when baking vegan banana bread. So what kind of bananas work best here? The ones that are at the perfect stage for eating (ripe but still firm). 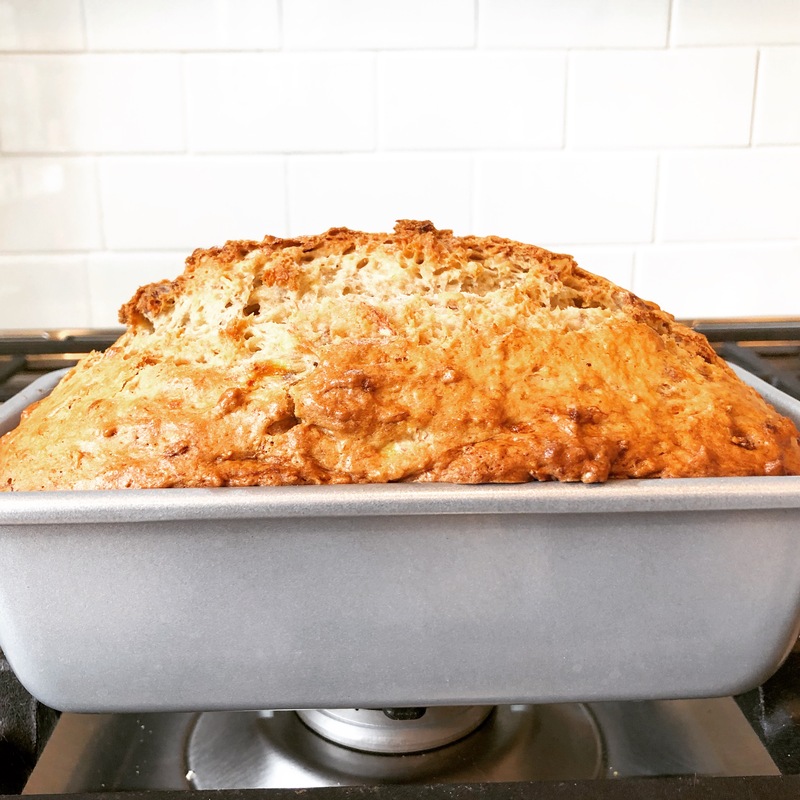 And the reason why, according to America’s Test Kitchens is that bananas at this just-ripe stage are actually starchier and provide enough structure that an egg substitute is not even needed. Interesting, right? 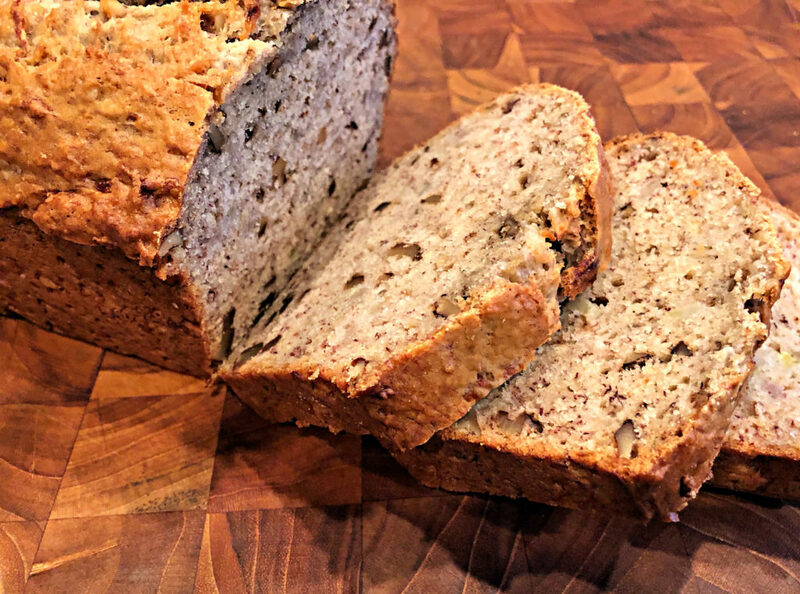 So, that is what I used – bananas I would have love to eat but instead put them in the bread – and they worked beautifully! To a small skillet over medium heat, add walnuts. Cook until lightly toasted. Together in a large mixing bowl, which flour, sugar, baking soda, and salt. Stir in walnuts. Into a food processor, add bananas. Pulse 10 times, until mostly smooth but some chunkiness still remains. Add vegetable oil, sour cream, lemon juice, and vanilla bean paste. Pulse 4 more times to combine. Into the flour mixture, gently fold in the banana mixture, just until blended. Into a prepared 9"x5" loaf pan, pour all the batter and smooth the top. Bake 1 hour. After removing from oven, allow bread to stand in pan 10 minutes then remove from pan and transfer to a wire rack. Cool completely before slicing and serving.